> Our new translucent frosted glass vinyl looks exactly like what it says - frosted glass - even under close inspection. 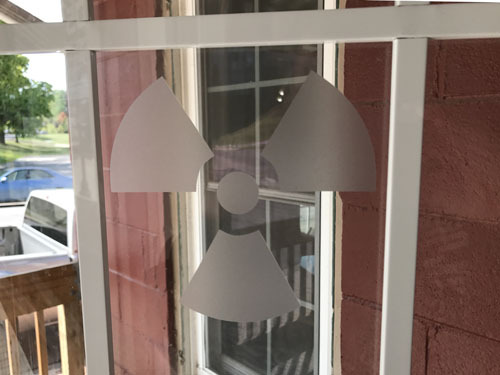 The standard radiation warning graphic (it's called a Trefoil) is precision cut from frosted glass vinyl for easy application to any glass surface. Looks exactly like it was sandblasted into the glass. High quality 3M 7-year vinyl film for indoor or outdoor use. Totally weatherproof. The Trefoil graphic is available in 3 sizes.